Look up at the night sky. Look at the sequin- silver and molten gold twinkling and dazzling like a large hand has tossed diamond dust into the sky. Now look at your child - the one with that mischievous smile, eyes filled with curiosity and mind filled with wonder. Don’t you want your little star to shine as well? 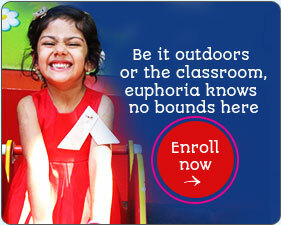 Alphakids Learning Centre (ALC) has developed a pedagogy called “Asteria” and has patented its copyrights. “Asteria” is a curiosity driven, integrated theme based pedagogy which delivers an international standard curriculum through various resources. “Asteria” helps realize the shining star in every child and gives them the chance to sparkle. “Asteria” was developed by senior reputed educationists and based on intense research. Both Alphakids International and Bellwether International are driven by it. It is designed to help create successful and responsible global citizens that are able to adapt to a constantly changing world. 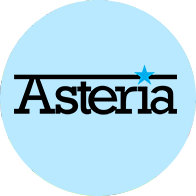 “Asteria” imparts, nurtures and develops thinking skills engaging the Mind (IQ), Heart (EQ) and Soul (SQ). We believe in the saying ‘you are what you eat.’ Research shows that a healthy diet is an important part of being a good leader and developing these eating habits starts right from childhood. We have onboard nutritionists who prepare weekly menus that also consider all food allergies a child might have. These weekly/monthly menus are sent to parents in advance through the Alphakids parent app. 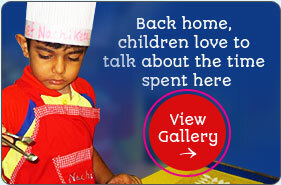 Our caregivers are trained to feed children and also teach them dining table etiquette along the way. This includes using cutlery, table mats etc. We have an ‘all are welcome’ admission policy that ensures no differential treatment is given to children of different genders, races, castes or even intellectual competencies. 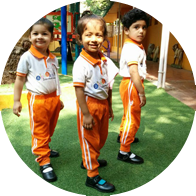 We truly believe that all differences among children add to a diverse learning environment and enrich the learning experience altogether. Since we believe that a good quality education is the right of each and every child, admission forms are issued on a first come first serve basis.